Hospice volunteers provide comfort and companionship to people living with a serious illness and help their family caregivers in a variety of ways. We rely on our volunteers to help with office work, fundraising, outreach and patient care. 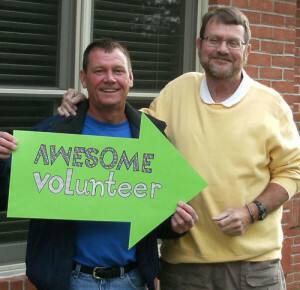 Our volunteers gain great personal satisfaction knowing that they have made a significant impact on another person’s life. We never ask our volunteers to do anything that they are not comfortable doing. How do I sign up to be a HospiceCare volunteer? If you’d like more information, or if you are interested in becoming a HospiceCare volunteer, click here to go to our Contact Us page. Fill out the form and one of our Volunteer department staff will get in touch with you. Of course, you can always call us at 304-768-8523 as well.